Myanmar & Thailand - A warning for solo motorcyclists. 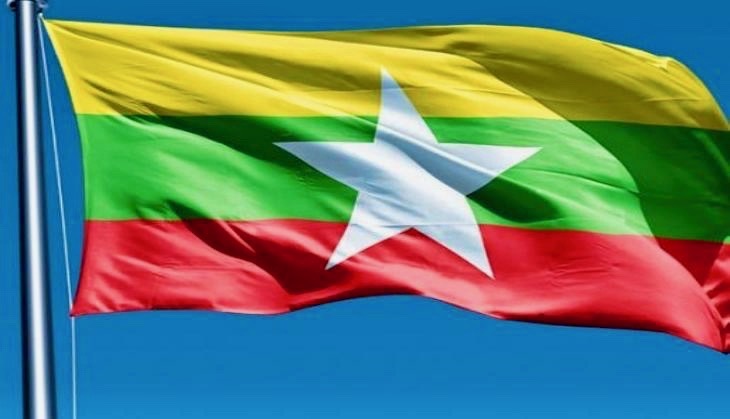 I am making a public objection, and rejection, of the policies of both the Myanmar and Thailand governments towards independent road travellers. Specifically, this one man and his motorcycle. When I set off from London in April 2017 I had become aware that I would need to be chaperoned whilst in Myanmar. In much the same way as my passage through Iran in July, I would have to employ a guide to accompany me from border to border, paying for their services as well as accommodation, food and expenses. But Myanmar not only insisted on an Official Guide but also a Liaison Officer. Double the expense. I would also need to allow the Tour Operator to make a profit from me. Myanmar is a sizeable land mass, and importantly is just about the only road route from the east of India to the rest of South East Asia. Myanmar have made life even more complicated because, assuming they give their permission for a traveller to enter, they now oblige you to do so within 14 days of that permission being given. Giving less than 14 days notice seems ridiculous to me. Do they imagine I am waiting somewhere near the border for them to make up their minds? What am I to do, just sit and wait? What if they reject me? I needed to take a deep breath, pay the fee, and get on with it. The reward would be to experience some interesting sights that not many others see, as well as engaging with communities as I passed through. However …. whilst en route …. Thailand have decided to introduce the same restrictions. You can no longer travel unaccompanied in your own vehicle. Thailand require up to 6 weeks to consider your application. I think that’s fair, but not if you are coming from Myanmar with their 14 day rule. If I were to pass through Myanmar and arrive at the Thailand border, what would I do if Thailand had not yet given their approval? Presumably sit there and wait, whilst still paying for my Myanmar guide to continue to chaperone me, and also pay for the pre-arranged Thailand guide to wait for me. I also struggle to see the need to be guided at all. The respective government websites do not explain their policies, only the rules and application process. I am quite capable of finding my way through a country, visiting its places of interest, engaging with its people, and learning its culture. I’ve got this far from the UK. The cost of passing through both countries is frankly too high for me as a solo traveller. Splitting the cost between other members of a convoy or organised tour would ameliorate the restriction. Perhaps that’s what they expect me to do. If the Myanmar and Thailand governments want to take money off me for the privilege of riding my motorcycle through their countries, then the policies have failed. I am not going. Furthermore, hotels, restaurants, petrol stations and places of interest will not be taking any money off me either. If they want me to be chaperoned to make sure I behave myself, then they only had to ask for a few basic details about me (Visa questions and perhaps a few more). I have nothing to hide. Whatever the reasons for the policies, they have failed with me. I am now going around their countries, spending my money where I am welcome. I do not believe the Rohingya situation in Myanmar would have hindered me - September 2017.